Recognize and manipulate faces from Python or from the command line with the world’s simplest face recognition library. Built using dlib‘s state-of-the-art face recognition built with deep learning. 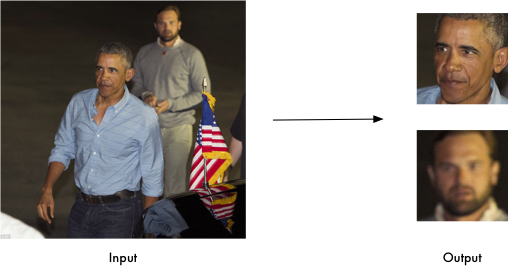 The model has an accuracy of 99.38% on theLabeled Faces in the Wild benchmark. This also provides a simple face_recognition command line tool that lets you do face recognition on a folder of images from the command line!